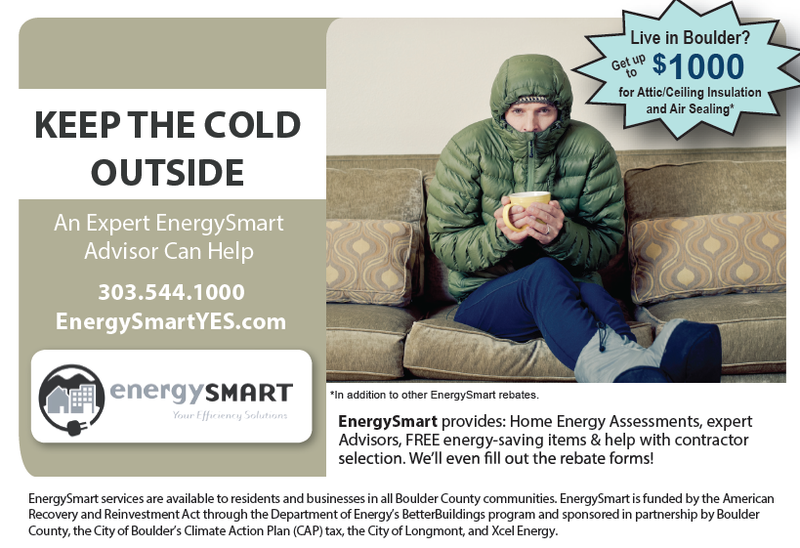 Money Savings for Boulder Families: Get Energy Smart! I recently moved to a new house and after checking the Xcel bill I knew it had some issues with high energy consumption and costs–more than double our previous house monthly. Yikes! So I called Energy Smart to get them to immediately conduct an energy audit. I knew this was a hoop I needed to jump through to qualify for rebates [and figure out what needed to get attention]. It turns out that there are an incredible number of rebates you can get. They haven’t disappeared! Here’s how we save over $1,000 on work we needed to get done on our house. Xcel Energy: They offer a prescribed amount of rebates based on what you do with your home. We blew insulation into our attic and will receive $350 back. 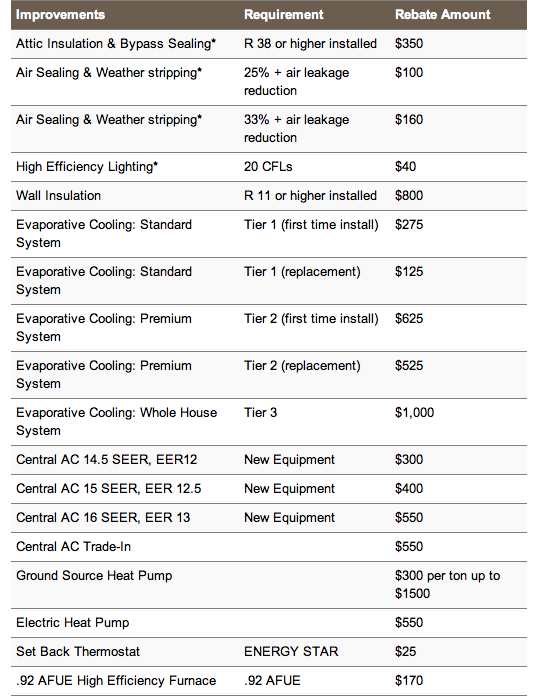 They also offer rebates for Energy Star appliances, Air Sealing, etc… Click here for more details. City of Boulder: They also offer rebates on a list of energy improvements. We are going to receive $800 back on the attic insulation we did [on top of the $350 from Xcel]. But you can get rebates for furnace tune ups, wall insulation, etc… Click here for more details. By the numbers: Here’s an example of what happened for us. We insulated our attic. Going from a R19 to R50. The cost was $1600. We are getting rebates for $350 [Xcel] and $800 [City of Boulder], so in the end we are paying $450 to get the work done. Yippeeee! I’m feeling good about this one! I’ll continue this series on water savings and other ways to save some money, help the planet, and more. Any ideas, send them my way! This entry was posted in Uncategorized and tagged Boulder, climate, Colorado, Energy Smart, energy star appliances, environment, Free, Money Saving, programmable thermostats by Boulder Families. Bookmark the permalink.